Patients with uncontrolled high blood pressure may have a new option thanks to researchers from Queen Mary University in London and ROX Medical. The newly developed implant was able to significantly lower blood pressure in patients — even when several other treatment options had failed. High blood pressure is a common condition that can have significant consequences if left untreated. Coronary heart disease, heart failure, stroke, and kidney failure are only a few of the conditions that high blood pressure can induce. Many pharmaceutical treatments focus on hormonal or neurological control of blood pressure in order to reduce it. Another approach involves renal denervation, or the ablation of nerve endings in the kidney. Despite the many treatment options available, however, they may be entirely ineffective for some patients. To illustrate the power of the new approach, the research team chose participants who had already failed at least three different medication treatments, according to the press release. Some patients had also been unsuccessfully treated by renal denervation prior to their involvement in the study, yet still experienced significant improvement in blood pressure. Placement of the small device was conducted under local anesthesia and took approximately 40 minutes, after which the reduction in blood pressure was immediate. 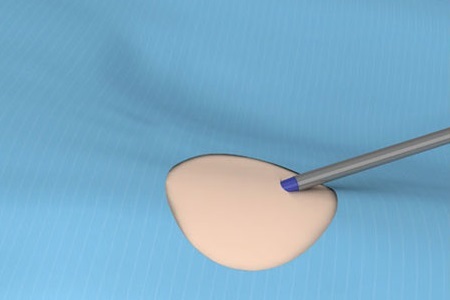 Removal of the device is also possible, making treatment by this method reversible if necessary. Once the device was implanted, it reduced blood pressure by an in office average of 26·9 mm Hg, according to a study published by the team in The Lancet. Control patients, who were monitored for the same amount of time and treated aggressively with pharmaceuticals, experienced an in office average decrease in blood pressure of only 3·7 mm Hg. Overall, patients receiving Coupler therapy experienced a tangible reduction in blood pressure. The effectiveness of the treatment was further highlighted by hospitalization for hypertensive complications that occurred in five members of the control group, where none occurred in the Coupler group. Though the success of the treatment appears to be notable, the results of long-term studies are still required, according to the press release. Additionally, some side effects occurred, which were related to swelling in the leg. This complication was present in about 29 percent of Coupler patients, but was ameliorated by using a vascular stent to reopen the veins. Implantable forms of blood pressure control hold many advantages over traditional pharmaceutical approaches. Instead of a continued cost that must be routinely paid to purchase medicines, implants are likely to be a one-time expense. Additionally, implants can eliminate side effects often seen with medication. Another implant designed to control blood pressure acts on the vagus nerve and inhibits certain signals that can drive pressure up.